I know, I know, it just looks like piles of dirt behind some tractors. But it is so much more. 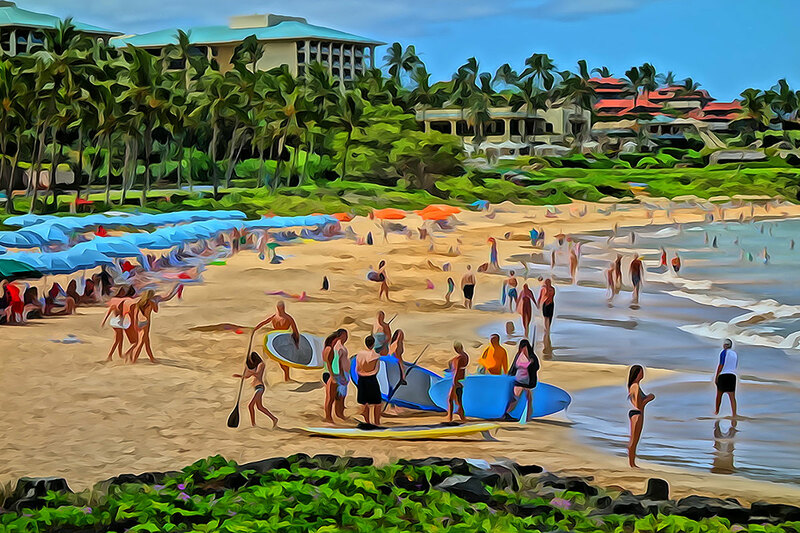 A couple of years ago the community of Wailea began dumping all their green waste in a very large vacant lot in ten-foot-high piles. 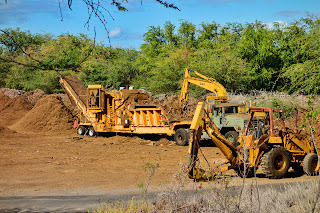 I was hoping they were doing some kind of composting, but they never did anything to the mounds except add more. Until this week. 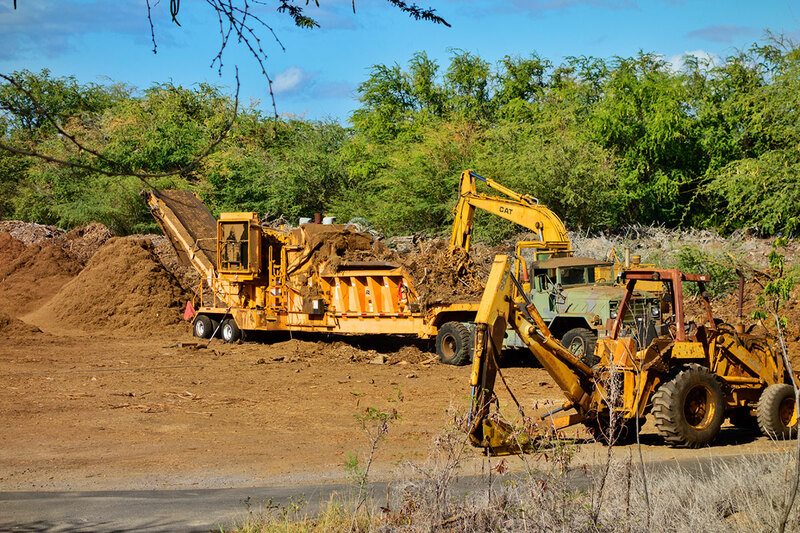 They brought in a giant grinding machine which is quickly turning the entire lot into rich mulch which is being used throughout Wailea. Nice. 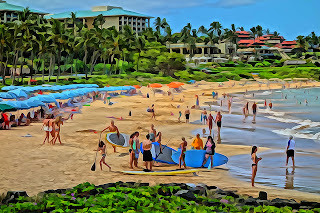 Because while people may come to Wailea for the beaches, they certainly appreciate the lush tropical landscaping.